I’m outlining my new book – something quite different this time, not part of The Sisters series (The Story Trap, The Broken Path). I’m doing the world-building, figuring out how the story world works. I find it helps a lot to draw potential characters or possible creatures. And I’m not sure what this is. A sort of scavenging feral creature? A sort of ratling? Do you know the Grimm Brother’s fairy tale “The Six Swans”? That’s the one about the six brothers who were turned into swans, and how their sister undid the enchantment. At least – she almost succeeded. At the end, the youngest brother’s left arm remained a swan wing. Birdwing is the story of what happens next, as Ardwin grows up and tries to make sense of his divided loyalties – his memories of the wild life of a swan, and his need for acceptance in the world of humans. What is the collective noun for a group of wizards? A “wrath” of wizards? An “argument”? I’ve been gathering together some of my favourite wizards. 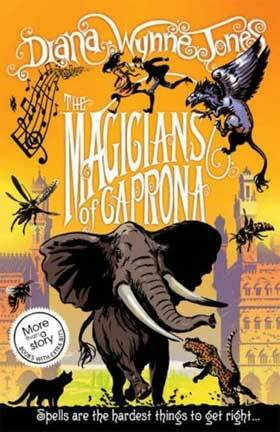 In Short: A fantasy set in Italy in an alternate universe. Two family Spell Houses, the Montanas and the Petrocchis, have been bitter rivals for generations. Tonino and his brother Paolo get caught up in the conflict. Other books by author: “Howl’s Moving Castle”, “Charmed Life”, “The Ogre Downstairs” among many others. 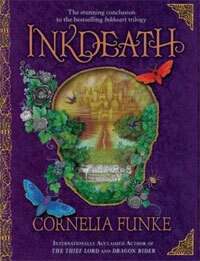 In Short: A compelling story set in a glorious fantasy world. This is a dark, grim book about difficult choices, lit with moments of beauty. Other books by author: “The Thief Lord”, “Dragon Rider”. My colleague Richard is in the throes of finishing his masters. Or rather – he should be. I am not allowed to give him any distracting books to read. In the mean time, I’m compiling a list for him to enjoy once that masters is submitted. 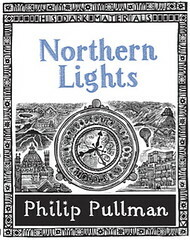 I’ve already got Richard to read Philip Pullman’s “His Dark Materials” series. These are easily the best books I’ve ever read. You can read more about them here. One of my students interviewed me as part of a research project on readers of fantasy books. It was an unsatisfactory experience as she had already made up her mind on the fundamental issue. 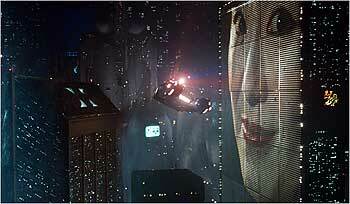 Question: “What attracts readers to fantasy and science fiction? “ Answer: “A need to escape”.